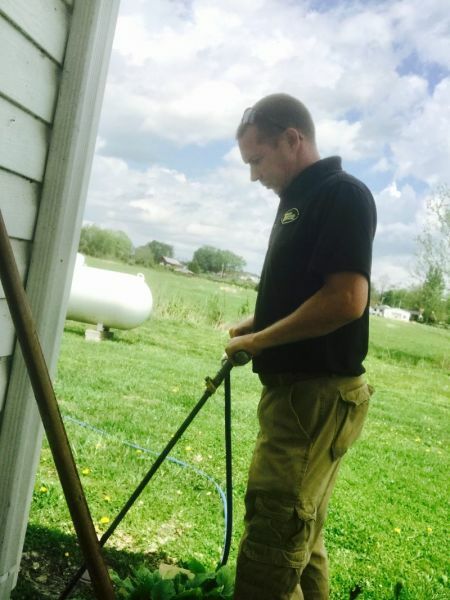 Four Seasons Pest Solutions, Inc. is a locally family owned and operated company in Kentucky, by Matthew and Angela Hess. Mr. and Mrs. Hess acquired ownership and took over the company in 2008. Previously, years of experience had founded and built the company from the first customer, and now, years of experience still own and operate this company today. Mr. Hess worked within the company from the very beginning. We have seen drastic changes in the industry through the years but we have adapted and excelled in them all. With the many wonderful products on the market today, we use the latest in technology and apply these to every account. Our goal is to provide YOU with fantastic, unbeatable service while maintaining a family friendly service that's good for you, your family, your investments and the environment. We love the outdoors and want to preserve the beauty for generations to come. That's why we strive to use only products and techniques which are safe for the environment. Four Seasons Pest Solutions, Inc is partnered with Four Seasons Service Company, Cumberland Service Exterminators Inc, Maid Clean Professional Cleaning Service and J&M Auto Sales Inc. to offer you even more services! For more information CLICK HERE. 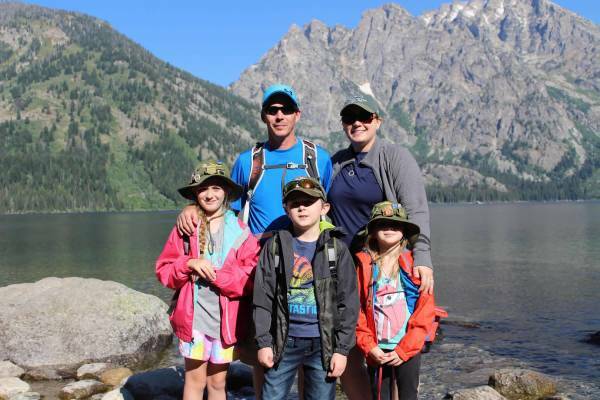 Owners, Matthew, Angela and the rest of the Hess family, enjoying the great outdoors in Grand Teton National Park. We are stewards of the environment; hoping to leave our children with as beautiful an exploration as we have had! Our President has more than 20 years logged in the industry. Our company succeeded a long line of prior companies with years and years of experience. Being involved with several different companies has given Hess an angle in the industry which many people may lack; seeing the mistakes and downfalls of those companies. This has given him the ability and opportunity to develop programs, techniques and services that work right every time. Not only that, but also to retain employees for long periods of time. This allows Four Seasons Pest Solutions to offer our client base; skilled, knowledgeable, caring and professional technicians who are able to meet your needs. We have technicians with 30 years and more on our staff, as well as a few with less than 5 years. However, even our newest techs are well trained by our experienced staff. You'll quickly see the difference in our techs and their wealth of knowledge, skill, caring attitude and professionalism. We seek to provide the best services available in our industry without disrupting your family, the environment or your wallet. We strive for customer satisfaction which yeilds word-of-mouth advertising. We are stewards of the earth which God has blessed us with and we are responsible to treat others as we would want to be treated. With this in mind, we provide your services. Plus, as you can see from the video to your left... we also have a sense of humor! Our techs are skilled in identifying almost all structural pests. Our techs are very skilled in the industry. Our techs care about you, your family and your pest problems. Our techs can't know everything, but they will sure find it out when they don't! Our techs are skilled at identifying many, many structural pests. Our techs care about you, your family, pest problems and the environment. O​ur techs are professional, courteous and well mannered.